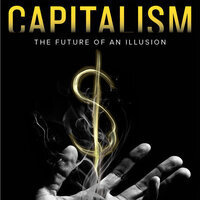 Join Fred Block as he discusses his new book, Capitalism: The Future of an Illusion. Virtually everyone—left, right, and center—believes that capitalist economies are autonomous, coherent, and regulated by their own internal laws. This view is an illusion. The reality is that economies organized around the pursuit of private profit are contradictory, incoherent, and heavily shaped by politics and governmental action. But the illusion remains hugely consequential because it has been embraced by political and economic elites who are convinced that they are powerless to change this system. The result is cycles of raised hopes followed by disappointment as elected officials discover they have no legitimate policy tools that can deliver what the public wants. Fred Block is Research Professor of Sociology at U.C. Davis and President of the Center for Engaged Scholarship. His recent books include:The Power of Market Fundamentalism: Karl Polanyi's Critique (with Margaret R. Somers) and State of Innovation: The U.S. Government's Role in Technology Development (with Matthew R. Keller). This event is co-sponsored by the Heilbroner Center for Capitalism Studies and the Sociology Department at The New School for Social Research.